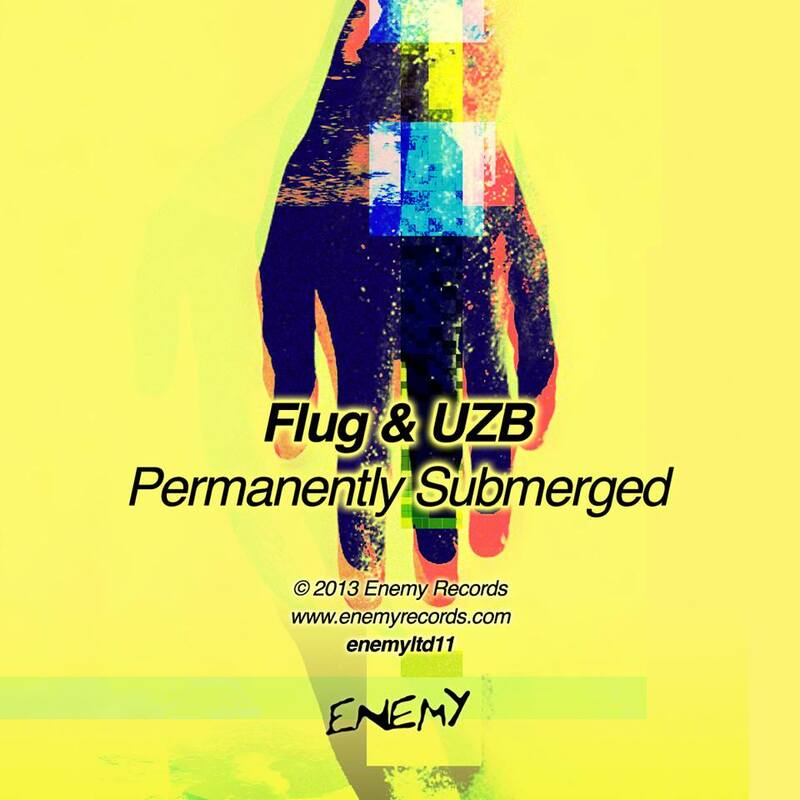 After the epic remix package of Minilogue, Enemy is getting back to business with new material from Flug and the sophomore effort from UZB. In total, they showcase 4 new tracks for the “Heads down, hoods up” speaker freakers! This is essential material for anyone looking for powerful middle-ground techno. Barcelona-based Flug takes over the A side starting with Analogical, a collage of heavy bass, epic strings, marching drums and powerful melodies. Half-way through the track the journey really begins, where Flug nails the true essence of Enemy Records’ sound with near-perfect precision. Cristal (vinyl exclusive) finishes off his side of the record as a powerful second offering. Cristal is something of a crossover track. It could easily find its’ place in a set of the most purist DJs yet it could easily find its’ way onto one of the many famous terraces in Ibiza. Cristal is a perfection combination of funk and power in the best way possible. Last year, UZB appeared from nowhere and surprised us all with 2 moody techno bangers that found its’ way into the sets of many of our favorite DJs. This time around, he wastes no time picking up where he left off. Near Field is an extension of his previous release, offering a slab of peak-time power. Finally, he finishes off the record with Underground Access. For this one, UZB drops the drama- tics and melody in exchange for extra mood and texture, leaving room for the DJ to do what he does best. When you need that special tool to get in between records, Underground Access is your tune!